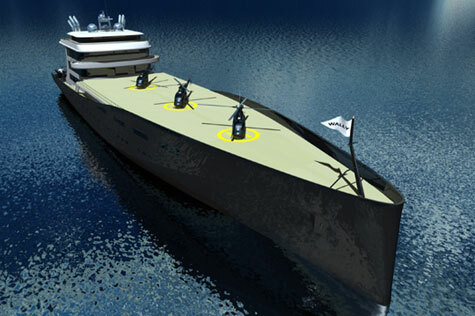 Check out the latest idea from the innovative yachtmakers Wally. 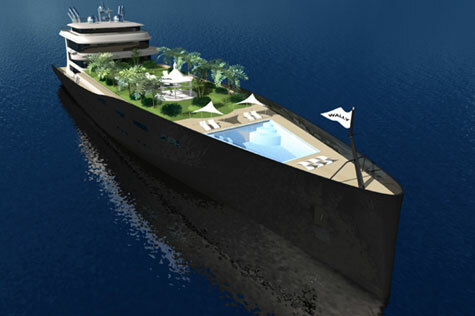 The company has created the WallyIsland, a massive 325-foot yacht with a giant main platform which can be home to a garden oasis, a large lounge, a heliport, a tennis court or anything else your imagination desires. 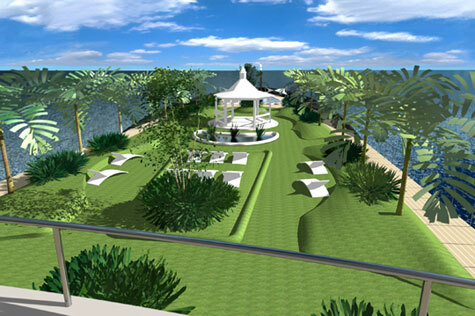 The WallyIsland is designed to be configured in a variety of different ways. 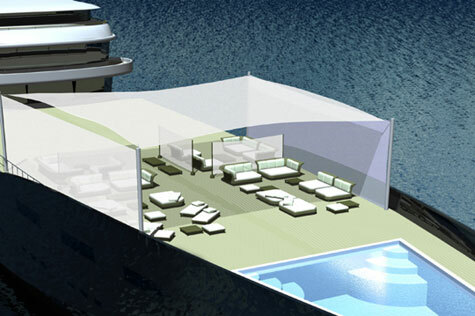 The WallyIsland has an extra-deep pool and a tower-like configuration of three decks: upper deck, owner deck and bridge deck with three additional decks are in the hull: main deck, cabin deck, service and saloon deck. 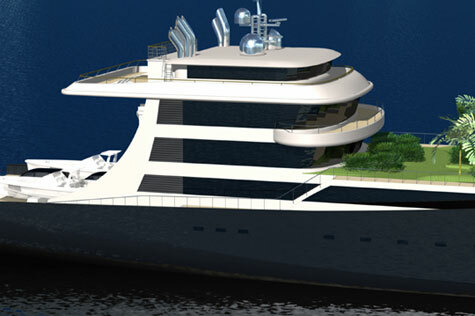 It has six large cabins that can also be turned into 12 smaller cabins for up to 24 guests and there are 20 double cabins for 40 crew members. A library, cinema, spa and fitness area will help keep everyone entertained. There are also two 45-foot WallyPowers as tenders. After the jump, a look at a couple of the other configurations.